Sat., March 14-Craft Show and Vendor Fair, 9 am-1 pm, St. John the Baptist School (2028 Sandridge Road), over 40 vendors, food, drinks, Chinese auction, free admission. Sunday, March 15-Kiwanis Club of Marilla Pancake Breakfast, 8 am-1 pm, Marilla Fire Company Rec. Hall (West Ave.). Sunday, March 15-Corned Beef and cabbage Drive-thru Dinner, 11 am-6 pm, Alden’s Meals on Wheels (12482 Broadway). $9 includes dessert. Sunday, March 15-Annual Irish Tea, Hull Family Home and Farmstead (5962 Genesee St., Lancaster). Tea sandwiches, muffins, scones, and petit desserts. Seating at 11 am and 2 pm. $20 or $15 for children 8-10. Reservations made at 741-7032. Tours from noon-4 pm for tea guests. Sunday, March 15-Pancake Breakfast (all-you-can-eat), 8 am-12:30 pm, hosted by the American Legion Riders of Post 567 at 3740 North Buffalo Rd., Orchard Park. Proceeds purchase Christmas stocking stuffers for Veterans in local nursing homes. 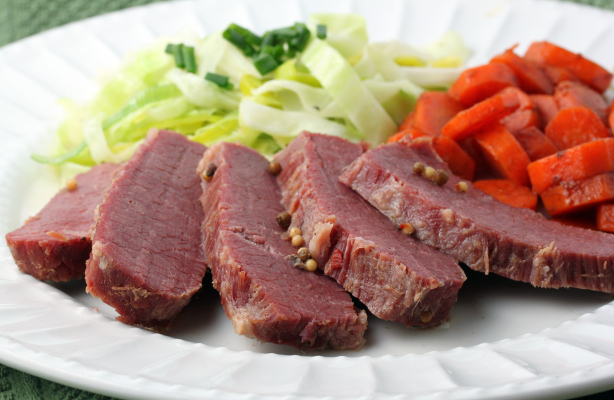 Sunday, March 15-Corned Beef and Cabbage Dinner, noon-3 pm, Town Line Lutheran Church. $8 adults, $5 kids 5-12 and under 5 are free. Proceeds to benefit renovation and repair. Friday, March 20-St. John’s HSA Meat Raffle, held in conjunction with an 8th grade fish fry. To purchase tickets call 937-9483. Friday, March 20-Fish Fry, 4:30-7 pm, St. John’s School (2028 Sandridge Road), $10 pre-sale or $10.50 at the door. Pizza also available. Benefits St. John’s 8th grade trip to Washington. Saturday, March 21-Annual Ladies Afternoon Affair, 1-4 pm, sponsored by Ladies Aux. of AH&L Fire Co. (13336 Broadway, Alden). Free admission, vendors, free raffles, free refreshments, and bake sale. Bring a canned good for the Alden/Marilla Food Pantry and receive an extra ticket for drawings. Sat., March 21-Friends of the Lancaster Public Library Fundraiser, 6-9 pm, Elk’s Lodge (33 Legion Parkway). Tickets $10, children 10 and under are free (available at the Lancaster Library). Seeking cash donations and auction baskets. For info. call Gary 440-4688 or the Library 683-1120. Sat., March 21-Home and Garden Raffle, Holy Mother of the Rosary Cathedral (6298 Broadway, Lanc. ), 5-9 pm, admission $25, includes food and refreshments. Ten prizes plus 1 grand prize, Chinese auction, and side raffles. Sun., March 22-Boy Scout Troop 117 Pancake Breakfast, 7:30-noon at St. John’s school gym, all-you-can-eat pancakes, $6 adults, children 10 and under $4, and kids under 3 are free. Sun., March 22-Attica Fire Dept. All-you-can-eat Pancake Breakfast, 7:30-12:30 pm, 11 Water St., Attica. Adults $7, children under 12-$3, children under 4 are free. Sun., March 22-French Toast Breakfast, 8:30 am-1 pm, Elma Fire hall (2945 Bowen Rd. ), eat in or take out, $9 adults-children under 10 $5. Sun., March 22-Chicken BBQ, noon til sold-out, sponsored by the Marilla Fire Benevolent Assoc. at the Marilla Rec. Hall (Two Rod and West Ave.). $10, children under 12 $5. Friday, March 27-Lenton Fish Fry, 4:30-7 pm, Corfu United Presbyterian Church (63 Alleghany St.), fish $10 or chicken Finger meal $9. Eat-in or take-out. Pre-sale tickets call 585-599-6414. Sat., March 28-Fisherman’s Flea Market, 9 am-3 pm, Alexander Fireman’s Rec. Hall (10708 Rt. 98). $2 (under age 12-free). Lunch can be purchased. Tables are $15. For more info. call Jim 585-591-0168 or Joe 716-440-0004. Sunday, March 29-Great Batavia Train Show, 9:30 am-3:30 pm, Clarion Hotel (Park Rd., Batavia), vendor tables, door prizes, free parking. $5 adults, $2 under 18 and children under 13 are free. www.gsme.org. Sun., March 29-Ham Dinner, noon until sold-out, Our Lady of Good Counsel Parish Hall (10675 Alleghany St., Darien Ctr. ), adults $10; children 5-10 $3; under age 5 is free.